Left photo: CDA Pono (left) and the reception’s Guest of Honor, Federal Foreign Office Director General for Asia and Pacific Affairs Ina Lepel (right) offering a toast. 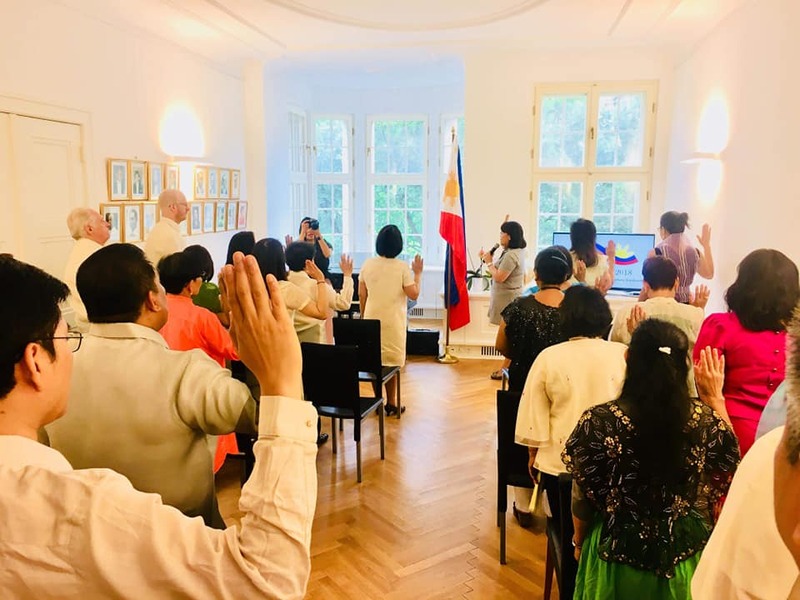 The Philippine Embassy in Berlin celebrated the 120th Anniversary of the Proclamation of Philippine Independence with a series of events that not only showcased Filipino talent and food, but also brought out a strong sense of community within the Filipino community. 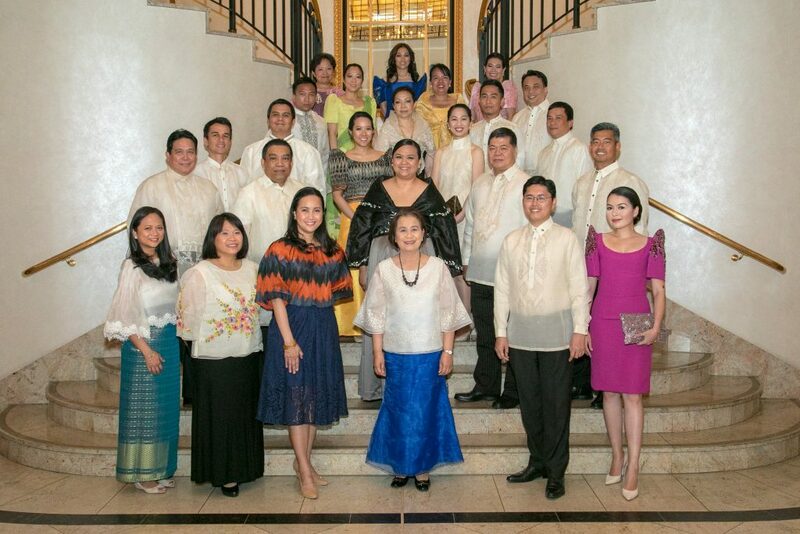 The highlight of this year’s Independence Day celebrations was a diplomatic reception on June 15 attended by almost 200 guests, including officials of the German Government, members of the diplomatic corps, representatives of various cultural institutions, and local business executives. In her welcome remarks, Chargé d’affaires (CDA) Lillibeth Pono underscored the economic gains that the Philippines has achieved in recent years, as well as its strong ties with Germany. Guests were greeted by delightful cocktails made of popular Filipino alcohol brand Don Papa Rum. 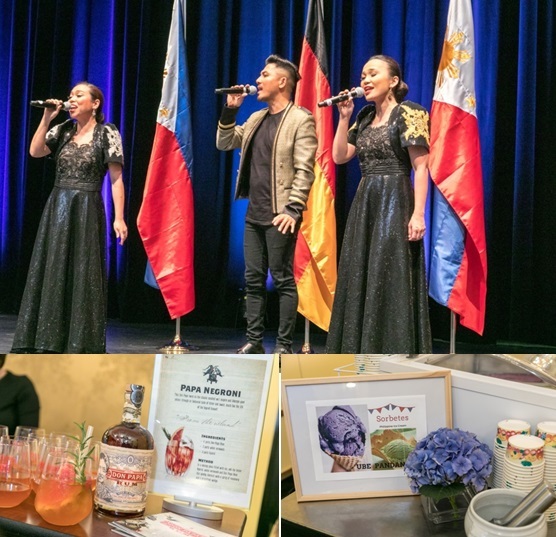 The special evening was filled with contemporary Filipino songs and folk songs performed the talented singing duo The Nightingales and Berlin-based Filipino artist Andy Roda. Embassy personnel pose for a traditional Independence Day photo. Taste buds looking for new flavors got to try pancit and lumpia, specially prepared by Embassy personnel, while those with sweet tooth indulged in ube- and pandan-flavored ice cream courtesy of the Philippine Trade and Investment Center Berlin. Each guest also went home with a souvenir package with tourism materials and handcrafted items from the Philippine Tourism Office in Frankfurt. On Independence Day, June 12, CDA Pono and Embassy officers Catherine Rose Torres and Marie Cris Chieng led Embassy personnel and Filipino community members in a solemn flag ceremony at the Embassy. The event also included a screening of “Jose Rizal: Sa Landas ng Paglaya,” a documentary produced by the National Historical Commission, and a breakfast salu-salo. 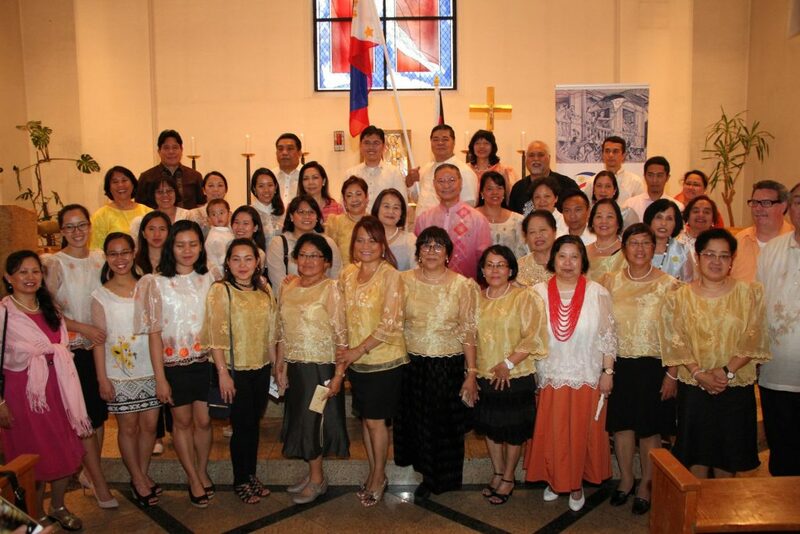 Some 200 Filipino Catholics, joined by Embassy personnel, gathered for an Independence Day Mass dubbed “Santa Misa para sa Bayan” on June 10 at the Church of the Holy Spirit in Berlin. After the Eucharistic celebration, CDA Lillibeth Pono read Foreign Affairs Secretary Alan Peter Cayetano’s Independence Day message, while Vice Consul Alvin Malasig delivered a presentation on the Philippines’ struggle for independence.